Dr. Abalone skating in 1975. Photo: Neal Unger. To me and my friends, skating was the thing you did when you couldn’t surf; something to do on those flat summer days or wind-blown afternoons. I loved the feeling of carving long lines on smooth drive ways, flying off steep banks and culverts, and feeling the thrill of speeding down a steep hill. But honestly, in the early days skating wasn’t anything like surfing, largely due to the gear we had. These days when you think of skateboarding you might envision people flying off vertical walls, turning flips in the air, or performing an ollie. When I think back to skateboarding in the late 60s and early 70s I think of bruised knees, scabs and concussions, and an occasional great ride. My first experience skating was short lived: after a few months of crashing and burning on steel wheels I decided it wasn’t like surfing at all. Waves are a lot more forgiving then the street. Early days with steel wheels. They look bad and they were! See, the problem with steel wheels was that they had a low threshold for maximum velocity and where I lived in Pacific Beach there was nothing but steep hills; not a good mix. My particular fancy was downhill skating: a high speed experience running straight down steep streets. For those of you in PB think Pacifica Drive — I know, crazy. Back then nobody wore helmets, knee pads, or even shoes — it was a pure sport with nothing between you and the sidewalk. However, after careering down a hill at full speed one quickly realized there were but three options: turn, got for it, or bail. If you have ever tried turning on steel wheels you immediately understand why it didn’t work at any appreciable velocity: the wheels slid on the pavement and the trucks (the connection between the wheels and the board) weren’t very flexible so turning was…well…didn’t work very well. If you decided to go for it, you quickly reached the dreaded wobble phase where the board started flying out of control, eventually ejecting you onto the street, sidewalk, gutter, etc. The metal wheels also had a tendency to heat up and were prone to falling part. Enter the third option, although in both of the previous examples it is debatable at what point you transitioned from passive (i.e., ejection) to active bailing. At any rate, at least for me, it was a painful experience mixed with a few moments of pure exhilaration. Next came clay wheels. Yes, clay! It may sound bad but… well…yes, it was. But compared to steel it was an improvement. Probably the best thing about clay was they were wider, had a broader wheel base, and gripped the pavement better, which allowed you to reach a higher terminal velocity. However, you could also argue, which occurred to me several times in mid-flight, that you are now in yet another perilous situation but at higher velocities. Part of the challenge here was to pick the right hill, one where peak velocity was below the wobble threshold. A big change however was that the trucks that came with clay wheels were an improvement and you could actually turn the board in a way that felt more like surfing, not just sliding down the street. One major drawback was that the clay eventually wore down and at some point the wheels just fell apart; hopefully not while you were going 20 miles an hour! Then, a miracle occurred! Someone designed polyurethane or “Cadillac” wheels!! 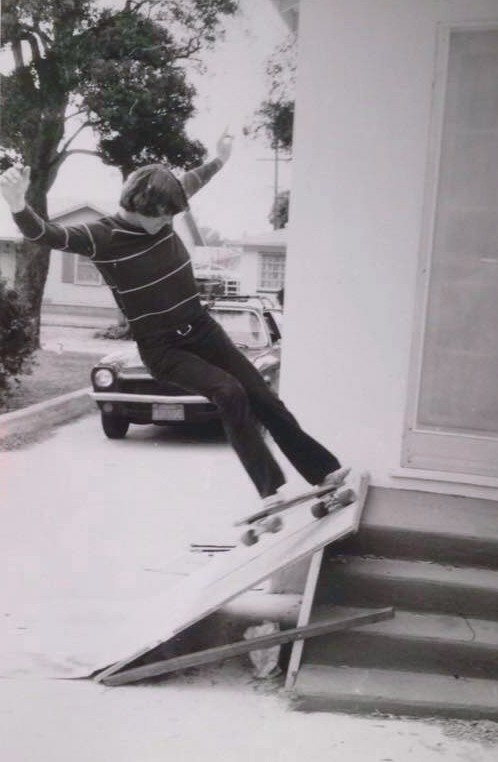 This caused a revolution in skating and a huge surge in popularity in the early 70s. These wheels actually had traction with the ground and the trucks could turn on a dime; pretty much what everyone still uses today. For the first time you could treat a skateboard like a sidewalk surfboard and a whole new world of possibilities suddenly became available: steep hills, reservoirs, drainage pipes, parking garages, and the highly coveted empty swimming pool. Every driveway was a wave to carve, every hill a giant swell, every ditch a steep wall. With that as background let me introduce you to the two 8mm films I made back in those days (thankfully on urethane wheels). The first, “Highway Star” was filmed while I was finishing Mt. Vernon High School in Alexandria, Virginia in 1974-75 and during my first year in college at Cal Poly, San Luis Obispo, California in 1975-76. The scenes are streets, sidewalks, and driveways around Alexandria and San Luis Obispo. The hill at Wessynton in Alexandria was our favorite downhill spot and in the scenes starting at 6:00 I filmed from the trunk of a car just a few feet way from the skaters, some of which reached over 30 miles/hr. 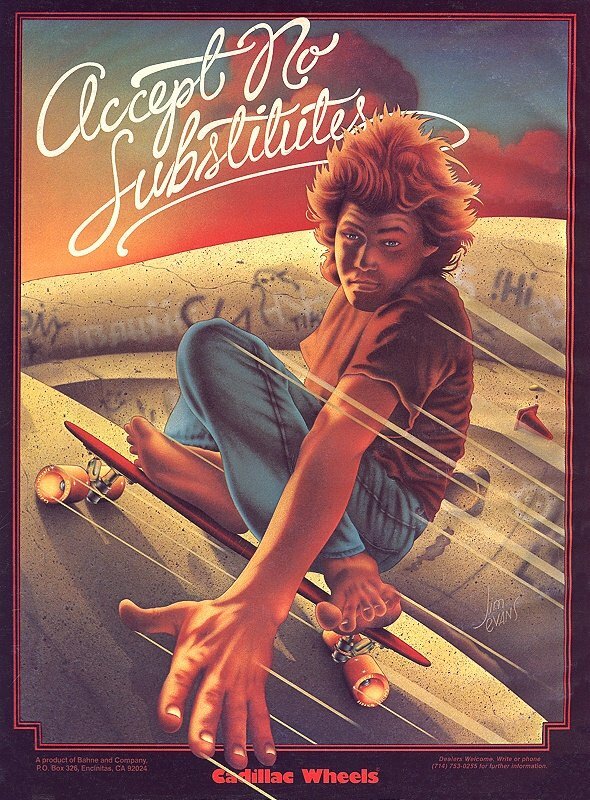 The final scene was filmed at the brand new Carlsbad Skate Park in March, 1976, right after it opened. At the time it was the only skate park in the world. Featured in the film are Tom Fulks, Pat Fulks, Frank Dorenkamp, Hugh Elliott, Jeff Emerick, Brad Chamberlain and myself. Everyone helped film some of the scenes, including Jeff Chamberlain. The second movie, “Goin Skatin” is a short film of a trip to the Lopez Lake spillway near San Luis Obispo in 1976 in my ’57 VW van. The spillway was a popular spot back then, at least during the 1976-77 drought! Also included are short takes at the San Francisco City College reservoir and an empty pool at the Triangle apartments in SLO. Featured are Tom Fulks, Frank Dorenkamp, Jeff Emerick, and me. Fun days and lots of great memories! While many people these days skate without having ever surfed, which is fine, it is fun to watch some of the classic surfing moves these skaters make. Undoubtedly passed down through skate culture which in its early days was firmly routed in surfing. Finally, I’d be remiss if I didn’t mention one of my best friends who used to occasionally skate with us back in those days, including the early years on steel wheels in PB, Neal Unger, aka The Dude. He is an amazing skater, quite famous in some circles, and he even has his own book out: Dude Logic on Amazon. Check out his amazing skate tricks at his YouTube channel. 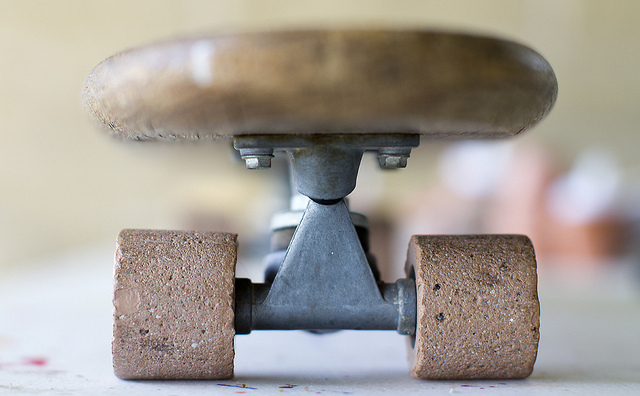 Skaters never get old, just better! Rock on Neal! Awesome real skating not Hollywood crap. Incredible movies. Here in France skateboard was barely about to arrive. And from here your skating was like a dream. Thank you. Blast from the past! Great seeing everyone looking so young. This brings back my memories of skating and surfing with my brothers, one of whom, is Hugh . Thanks for posting this so I can watch this when I want to feel young again!